employU is Now Providing a New Service! 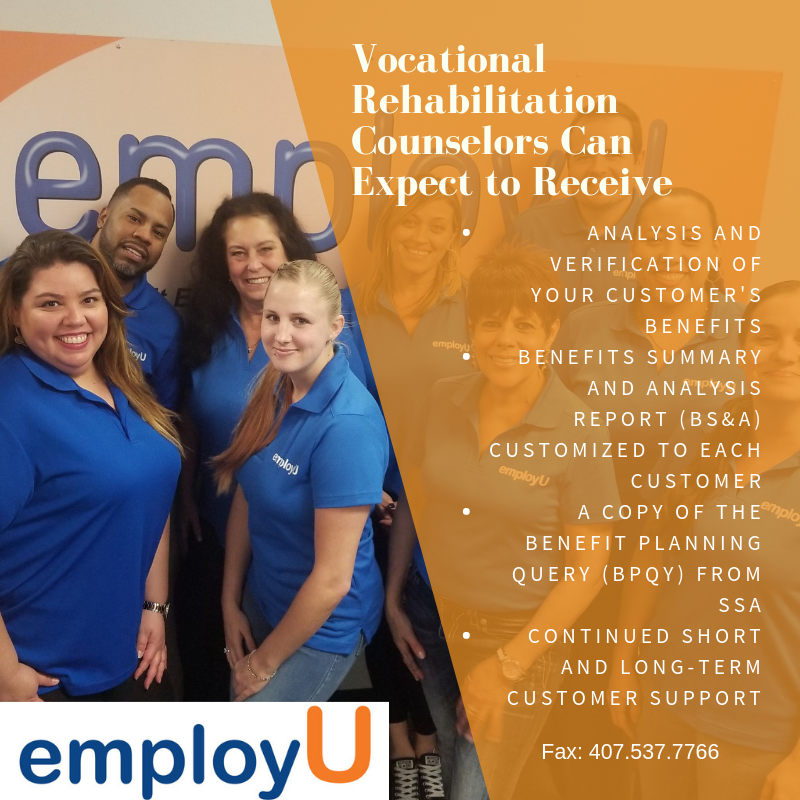 If your client receives Supplemental Security Income (SSI) or Social Security Disability Insurance (SSDI) you can refer them to employU to talk to a Certified Work Incentive Practitioner. You can get accurate and timely information about the impact of earnings on their SSI or SSDI cash and healthcare benefits. It provides an easy to access entry point for your customer to get the initial and ongoing benefits support they need to get to work, stay employed, and advance in employment. At employU, we will make every effort to meet clients in person. However, remote interviews can be done if necessary. For more information about the Work Incentive Planning & Assistance (WIPA), contact Trish Reonas, Certified Community Work Incentive Coordinator at 407-598-0202 or treonas@employu.org or fax at 407.537.7766.